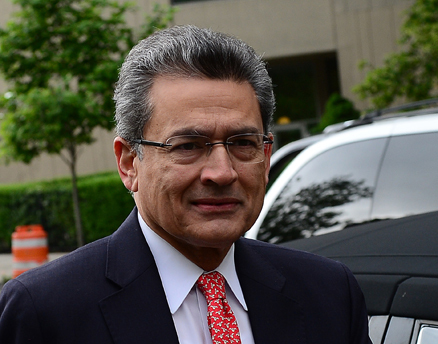 The jury looking into the case of Indian-American, Rajat Gupta has said that it wanted Mr. Gupta to be a free man after the trial but his "need for greed" was just too "overwhelming" and there was sufficient evidence against him. Rajat Gupta, who was the former director at Goldman Sachs and Procter & Gamble, was earlier released on a bail of $ 10 million in the US. Rajat Gupta was freed after he pleaded not guilty to charges of securities fraud and that he passed insider information to his friend Raj Rajaratnam, who is abillionnaire businessman. Generally, the government lays insider-trading accusations against those people who profited directly from transactions based on tip offs of special information. However, the Justice Department and the Securities and Exchange Commission do not have evidence suggesting Rajat Gupta benefited from insider trading directly. Gupta's lawyer, Gary Naftalis of Kramer Levin Naftalis & Frankel allege that he sometimes lost his entire investment in Rajaratnam's hedge fund. He was not involved in trading and he also did not tip of Rajaratnam, claimed Naftalis. The 12-member jury read out his guilty verdict on Friday in Manhattan federal court. The verdict sends Mr. Gupta for up to 25 years in jail. Jury foreman Richard Lepkowski, who read out the verdict said he had not wanted to convict Mr. Gupta. "Here was a man who came to this country and was a wonderful example of the American Dream. But at the end of the day, those allegations on which we found guilt -- the evidence was overwhelming," said Lepkowski.